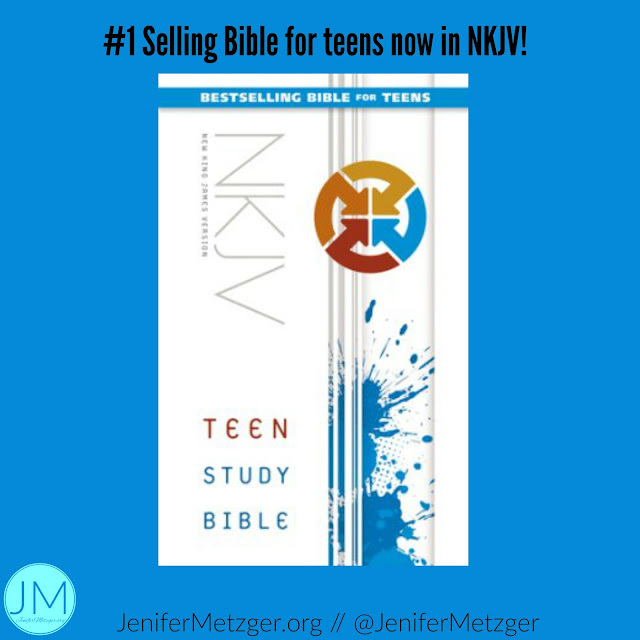 We often share children's Bibles here, but today I am thrilled to bring you the #1 best selling Bible for teens, the Teen Study Bible. The Teen Study Bible now comes in NKJV, which happens to be my favorite version. The Teen Study Bible is full of study features that help today's teens learn about God, the Bible and how to relate His Word to their every day lives. It features We Believe, the Apostles Creed that is the Biblical foundation of faith. It also features in depth Bible study, Biblical advice for teens, Q&A to test your Biblical knowledge and much more. I have 4 teens (yes you read that right, 4) and they all love the Teen Study Bible and all that it offers. Everyone deserves to have their very own Bible and this Bible is a great choice for your teen. Check out the Teen Study Bible.